Pajamas are an endless battle for me. My 5″7 frame appears to be much too tall for a size small pj, and I honestly don’t know what you tall girls do. Also because I sleep in jersey sheets the material is a big thing for me too. I often get tangled while tossing and turning. I’m sure we’ve all been there., but finally I found a pair that fit just right. 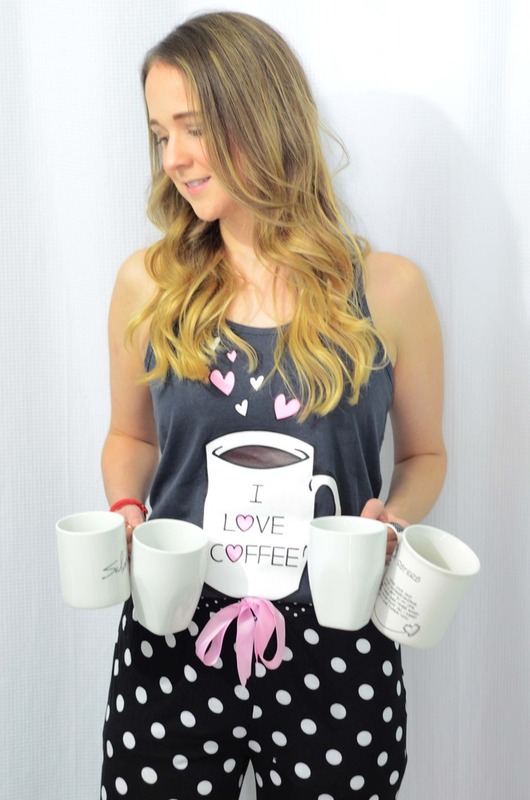 FEATURED ITEMS: “Coffee Me” Tank (long) seen tucked in here, c/o Silver Icing. 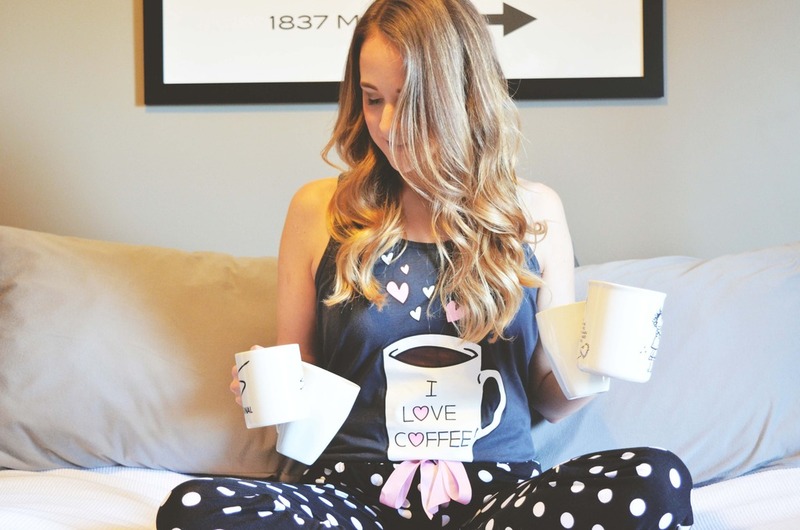 “Save Me a Spot” Pajama Pants, c/o Silver Icing. 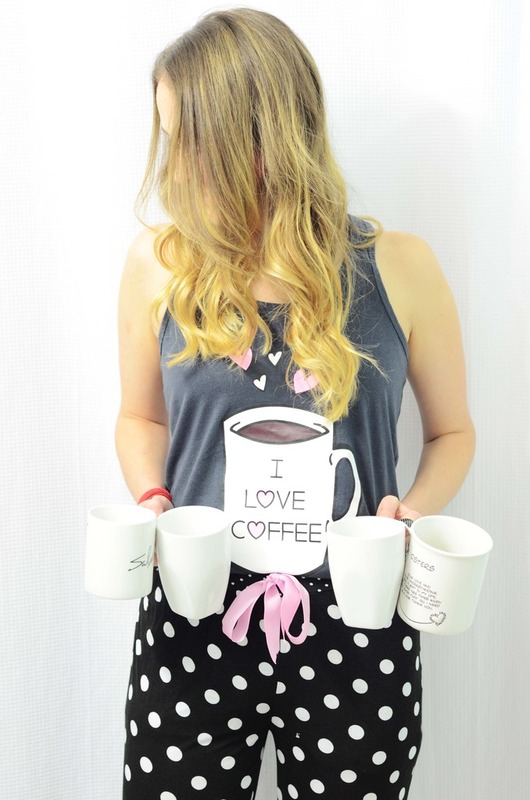 Truth be told I do love coffee, and how cute is this sleep shirt from Silver Icing? It’s long so you could totally wear it as a night dress in the summer months, but I wanted you to see the pants here too, so I tucked it in. 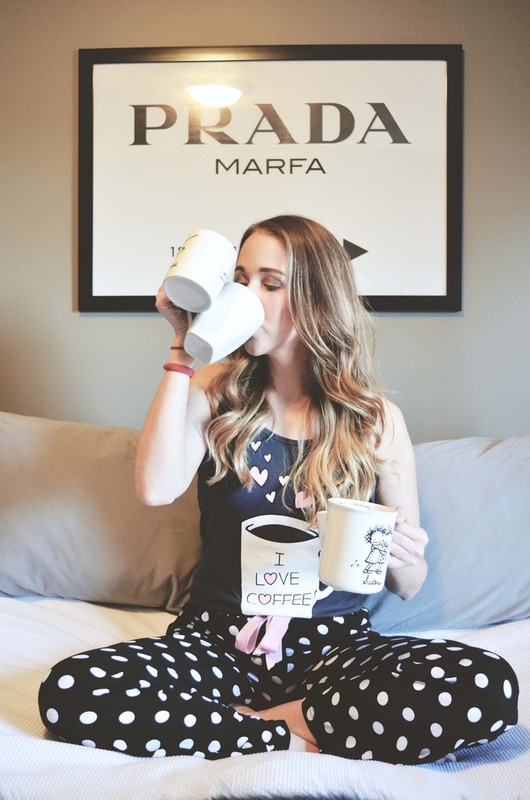 No matter what I’m doing you can bet there’s a coffee cup near by, so whether I’m just waking up, or getting ready for the day its there. 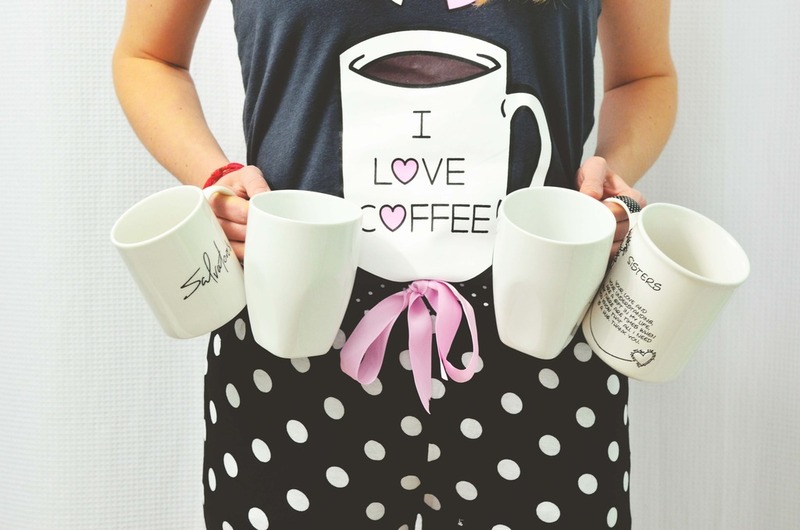 I love coffee I mean like REALLY love coffee. Sadly I’m pretty sensitive to caffeine so I need to tread lightly around my consumption. If you’ve ever met me you know I’m already pretty peppy. Sometimes I love it so much I need to curb my enthusiasm with a break, and so I’ll switch to teas which are a more gradual incline in terms of caffeine jolts, and also I seem to process it better (i.e less fatigue after, and less emotional melt downs). 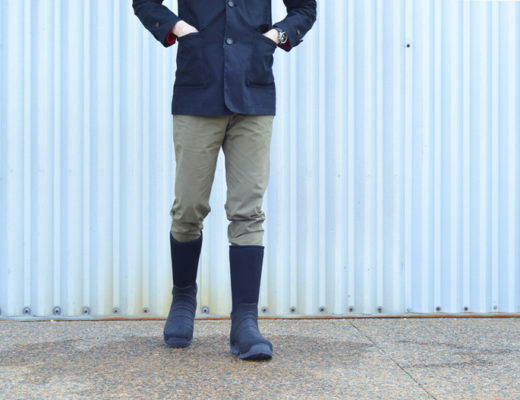 Anywho I figure we featured A LOT of street wear on the blog it would be fun to showcase my latest discovery. So cute right? 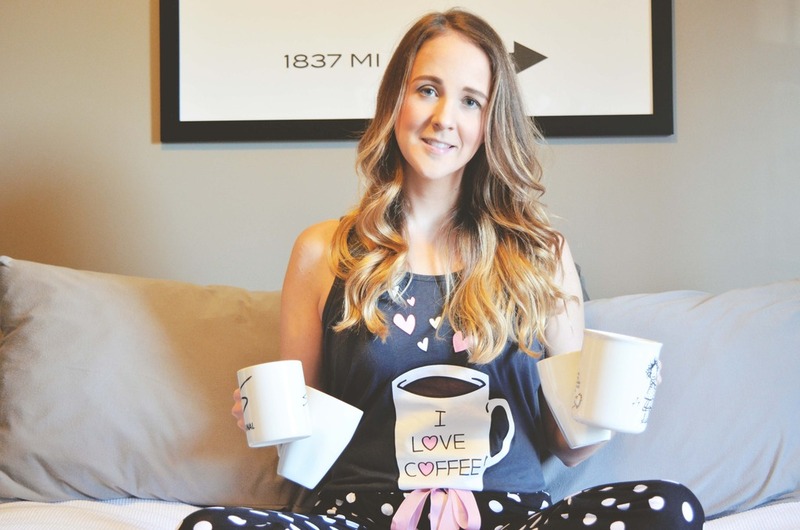 I’m not going to lie I typically sleep in some kind of atrocity of a t-shirt, and mismatched pjs, but there’s something about a pj set that makes me feel a little more grown up, and little university student. This post was sponsored by Silver Icing however all opinions expressed are my own.